Madeline Di Nonno is the Chief Executive Officer of the Geena Davis Institute on Gender in Media, the only research based non-profit working with the entertainment and media community to improve gender diversity in children’s entertainment through cutting-edge research, education and advocacy programs. Di Nonno leads the Institute’s strategic direction, management, financial and operational activities. Di Nonno brings over thirty years of executive leadership experience in the entertainment, non-profit, digital media and consumer packaged goods industries. Previously, Di Nonno served as President and CEO of On The Scene Productions, a leader in digital media content creation and distribution. Di Nonno lead the company’s new business development and content distribution platforms for the entertainment, healthcare, and consumer products clients such as Nike, Gatorade, Iconix, and PepsiCo. As Executive Vice President and GM for Nielsen EDI, a leading research provider of Theatrical distribution measurement and information, Di Nonno drove innovations in product development, new business development and client management. 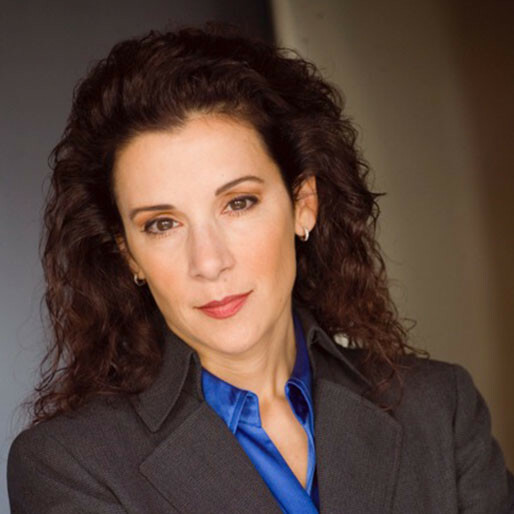 Previously, Di Nonno served as Senior Vice President, Marketing Alliances and Digital media at the Hallmark Channel, and helped launch the cable channel and established marketing, digital media, e-commerce, and corporate alliance functions. Di Nonno developed revenue-generating, integrated marketing programs with brands such as Johnson & Johnson, Fuji, Mail Boxes Etc., Universal Pictures, Target, Sony Pictures, Chrysler, and Baskin Robbins. Di Nonno pioneered the Channel’s digital media initiatives. Di Nonno served eight years at Universal Studios Home Video as Vice President, Strategic Marketing where she established the company’s first Websites and digital marketing campaigns. Di Nonno supervised marketing campaigns for all theatrical, direct-to-video and library releases and spearheaded Universal’s launch into DVD. Di Nonno is a requested speaker at major industry events, academic organizations and conferences such as the United Nations, CES, CinemaCon, CTAM, Digital Hollywood, NAMLE and featured in media outlets such as The New York Times, Variety, Hollywood Reporter, Huffington Post, Kidscreen, Chicago Tribune, Fast Company, Wired Magazine.